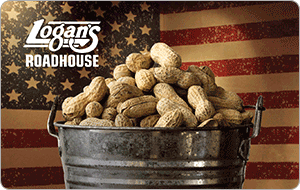 PROTECT THIS CARD LIKE CASH This prepaid Logan�s Roadhouse Gift Card is redeemable for food and beverages sold at all Logan�s Roadhouse� restaurants. This card is like cash and cannot be replaced if lost or stolen. This card is not redeemable for cash, except as required by law. There are no expiration dates or fees associated with this card. For balance inquiries and all other inquiries regarding lost or stolen cards , please call 800-322-6857.